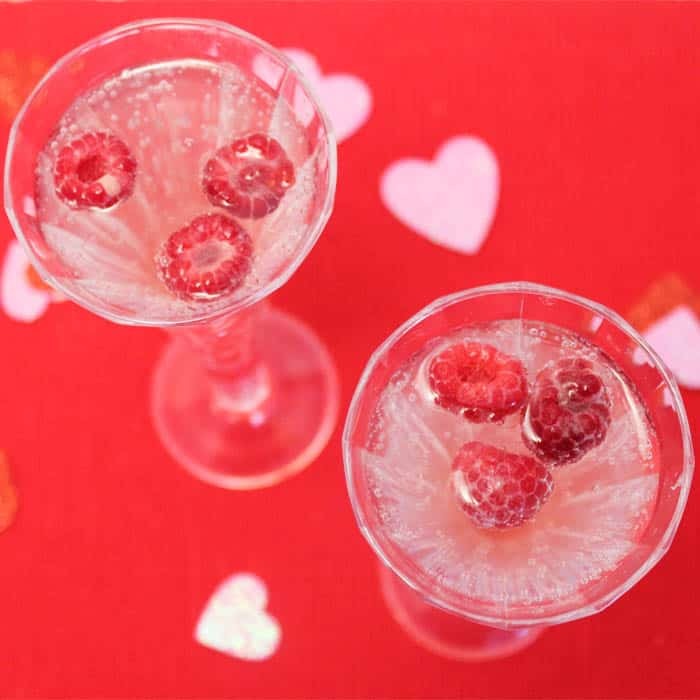 A Valentine Wine Spritzer is the perfect cocktail for Valentine’s Day! 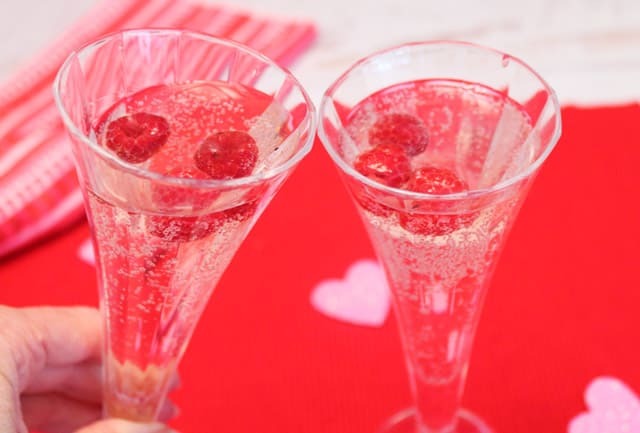 A light & bubbly mix of Pinot Grigio, orange liqueur, champagne & a few raspberries and you’ll be in the pink. 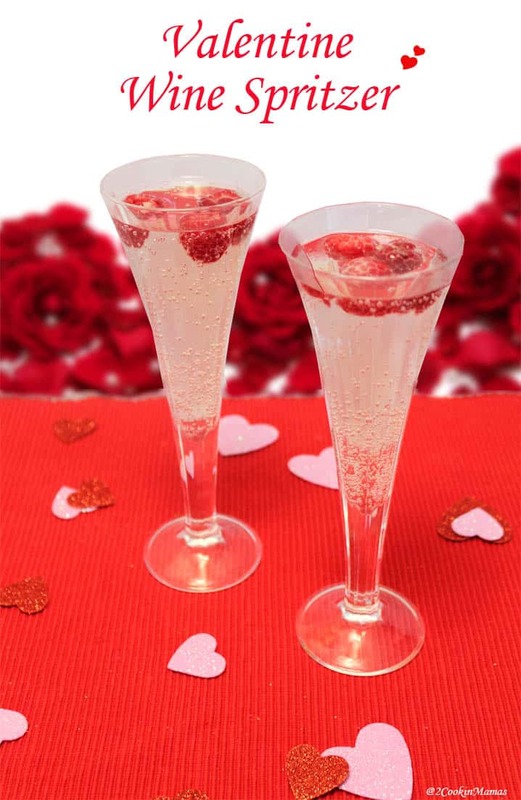 Want the perfect cocktail for Valentine’s Day? This light wine spritzer is perfect to add to the occasion. 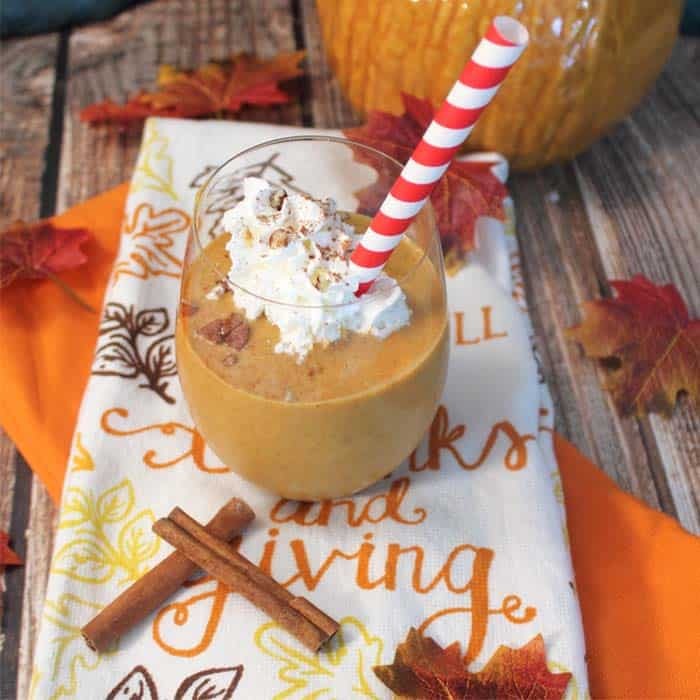 Not only is it easy to make but, with the addition of the raspberries, turns pink to match the holiday! I love serving cocktails that fit the occasion. 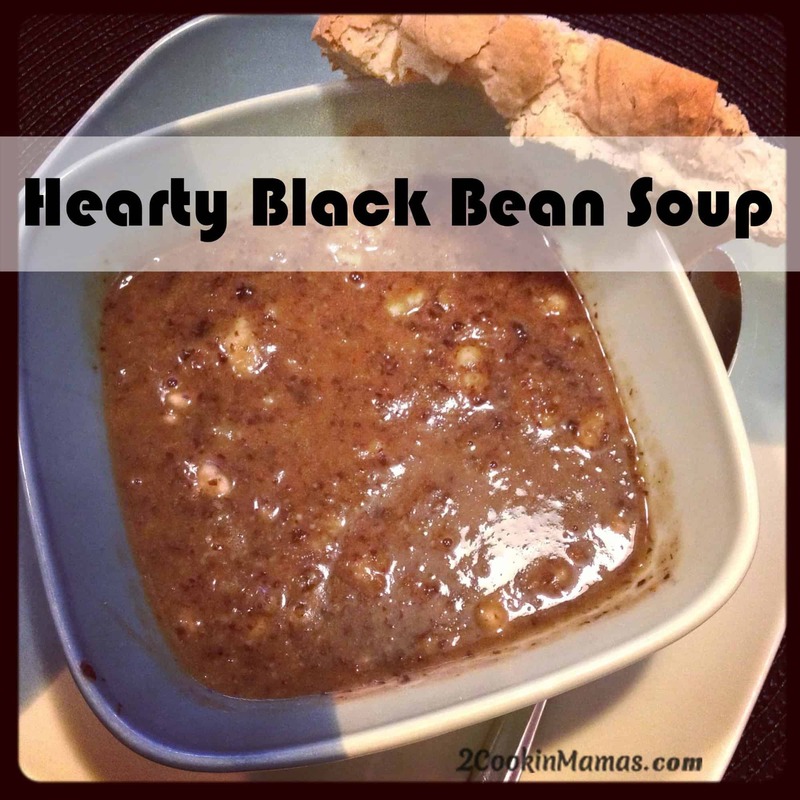 I am usually a wine drinker but love to try new concoctions from time to time. Of course, when our vacation to the Florida Keys comes around, I am all for Pina Coladas, Margaritas and Bay Breezes! But for a heavier meal, say surf & turf, and a beautiful decadent dessert I think this lighter cocktail would fit the bill. This cocktail can be made one of two ways, I prefer the champagne myself, but the carbonated water or seltzer makes it a little less potent. If you opt for the carbonated water, La Croix makes a great lemon or lime flavor but also has a cran-raspberry flavor which is delicious. 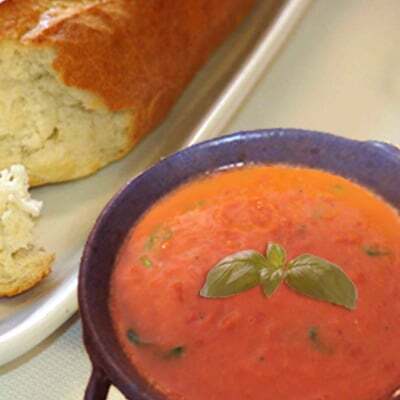 Whatever way you fix it, I am sure you will love the bubbly, delicious result! 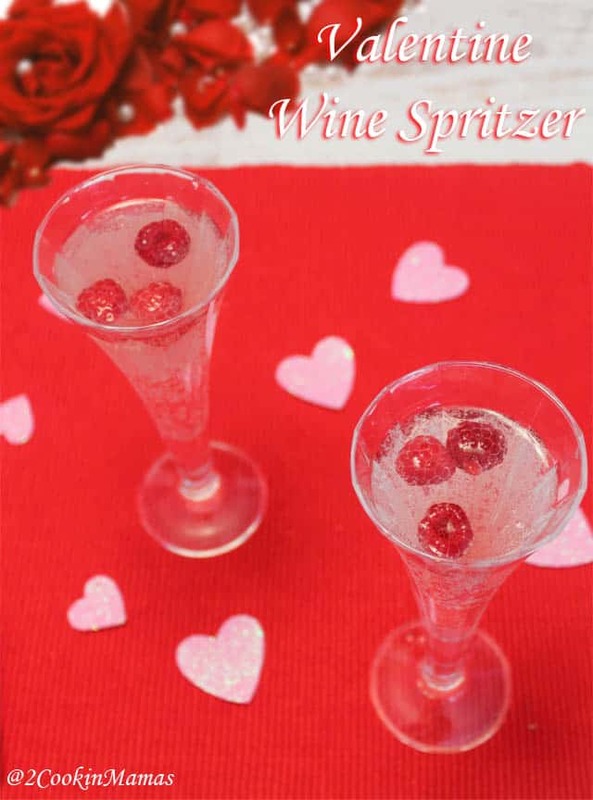 This wine spritzer is the perfect cocktail for Valentine's Day! A light, bubbly mix of Pinot Grigio, Cointreau & raspberries & you're in the pink. Mix all of the above in a pitcher and divide evenly between two champagne or wine glasses. Add several raspberries to each. Toast and sip! Hi Karen! If you’re ever near Boca Raton send me an email and I’ll show you around! Love your blog and pics of Epcot!